I came up with this idea whilst looking though Christmas cake images on Google. I made the igloo shaped cake using a Pyrex bowl – a technique I had already tried and tested with my Christmas Pudding Christmas Cake. I covered the cake in marzipan and then a layer of white sugarpaste, into which I scored lines to create the ice block structure. 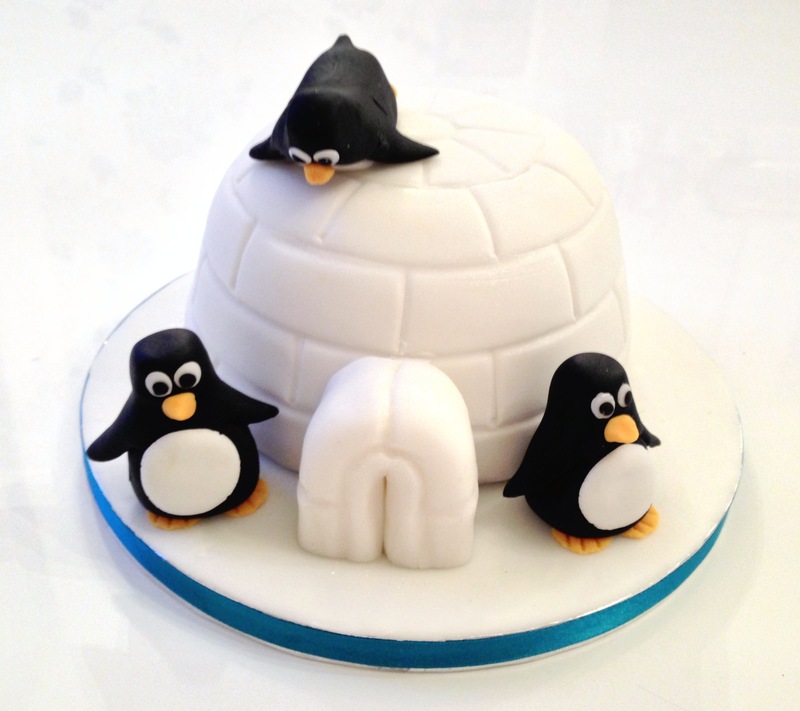 The penguins were my first attempt at 3D cake decorations. I used this YouTube Video to get a little help.